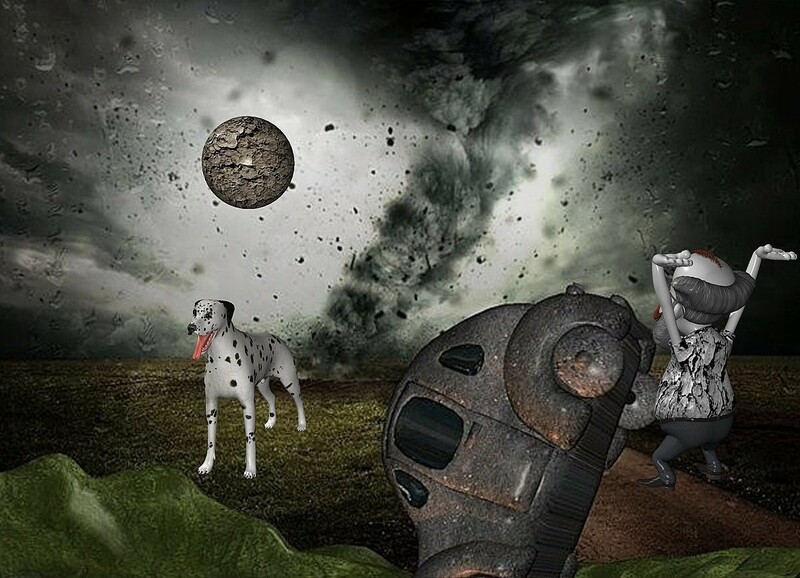 Input text: a [BD] backdrop.a 1 inch tall [dirt] moon.a 2 inch tall dalmatian is -4 inch above the moon.a 2.5 inch tall 70% dim gray man is 3.5 inch right of the dalmatian.the man is facing northwest.the shirt of the man is gray.the beard of the man is gray.the shirt of the man is [dirt]. nothing like that crash-and-burn backdrop! Oh no - it looks very unfriendly!